One of the first things I evaluate with a problem bird is their cage. Where it is located, size, shape, and how it is set up. Many behavior problems can be attributed to having your parrot in improper surroundings. Their cage should be a safe haven for them with plenty of things to keep them busy. 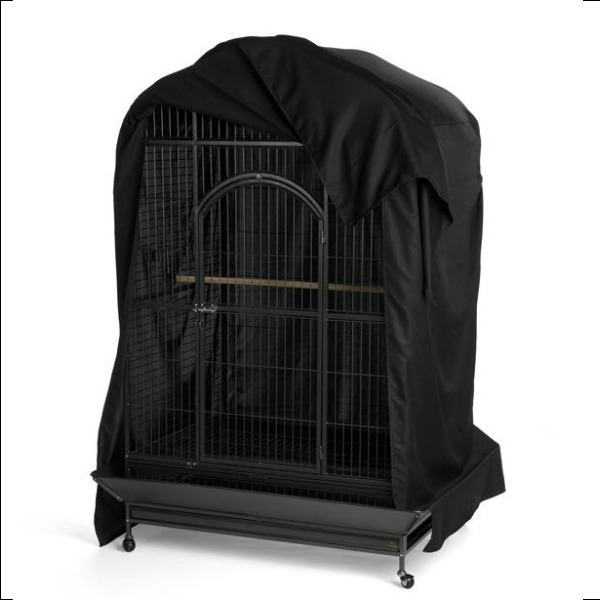 A good bird cage should be easy to keep clean, and it should not be round. 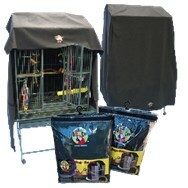 The bar spacing should be appropriate for the type of bird or parrot that is housed in it. Whether or not you have a play top or a dome top is up to you. One of the best gifts you can give yourself and your parrot is a top of the line cage. When you skimp on a cage you just end up replacing it again and again. Do your research and get a cage that will last the lifetime of your parrot. 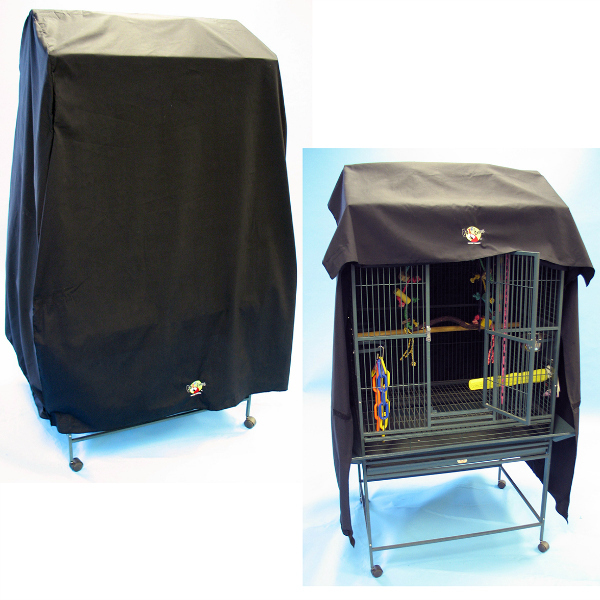 The cage should be placed in an area where you are sure your parrot will be able to view his surroundings safely without feeling threatened. You do not want to place a parrot directly in front of a window or in the center of a room. Our first response is to assume that they would enjoy the outside view or being right in the middle of a room so they can see everything. The truth is that this type of placement may be fine while your parrot is young. But once your parrot becomes sexually mature and aware that it is a prey animal, this type of placement will cause extreme stress upon him. 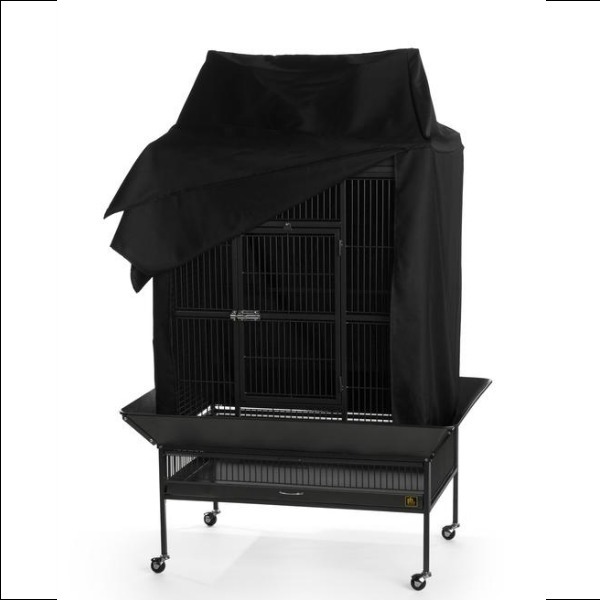 Knowing this, a parrot should be placed against a solid wall, if this is not possible then the back half of the cage should be covered at all times. This will give him the sense of security that is needed. Parrots do not live out in the open in the wild. They build nestsinside of trees or in dense forest areas. So they may live and raise young safely. Therefore we should try to mock this type of environment by placing the cage in a more indiscreet area or our homes. One where they can take pleasure in their surroundings and not feel threatened. You will need also to consider your parrots sleep requirements. 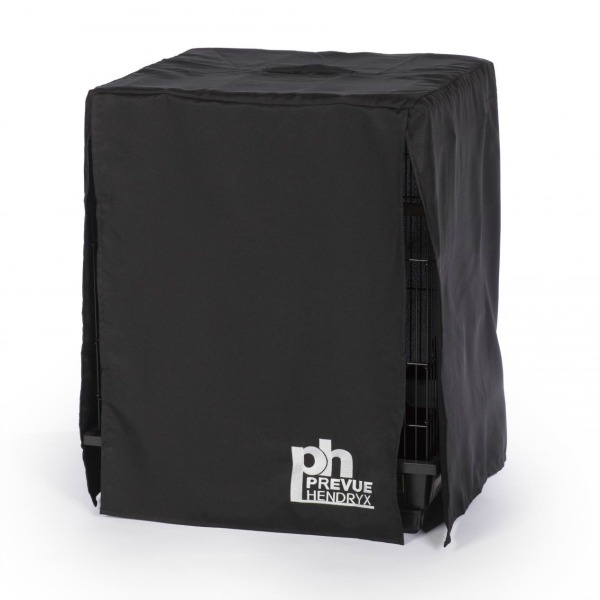 Does the placement of the cage allow for the proper amounts of undisturbed quite darkness? If not do you have a sleeping cage in another room? Sleep deprivation is a problem with many parrots I see. So if your parrot is not receiving at least ten to twelve hours of rest each night you will need to re evaluate his cage placement. Don’t place next to the TV that is watched late into the niter. Do place them so they have a view of the entire room without putting them as a focal point. You want your parrot to be able to observe his environment so he learns to trust his surroundings. 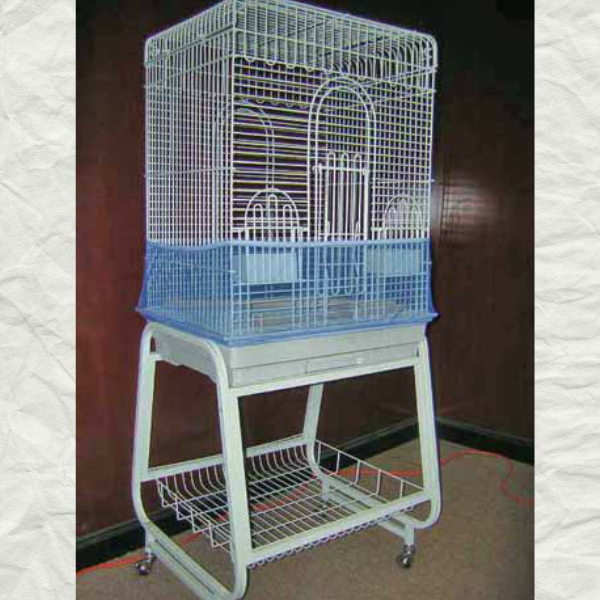 There should be three different size perches in the cage. These perches should also different textures with at least one of the perches being a rope or Booda perch. The rope perch should be the one that is placed at the highest point for sleeping. Place this perch in a U shape in an upper back corner of the cage. This is especially important if you have a feather picker. It gives a sense of safety to the parrot, plus if they turn to pick, the rope is right there and they will opt to shred that. The other two perches should be wood or one wood one of a different texture of choice. I would also like to add that there does not have to be perches in front of every food dish. We tend to make life just a little too easy for these busy birds. Make them work a little. Three different perches with the main wood one going horizontally across the middle. The rope perch should be in a U shape in an upper back corner. The third should be place just inside of the door so that when the door is opened the perch is brought out of the cage. By doing this you do not have to reach into the cage for step up commands that may be refused. When you want your parrot to come out you have him come down to this perch first, open the door once he is on it and request the step up. This is a must if your bird has aggression issues. Now it is time to add the toys. You should have at least three working toys in the cage at all times. Working toys are toys that make them work for their treats or favored foods. The other toys should be things that are easily shredded such as soft wood, paper, and leather, preferably all of the above. Good toys have many different shapes and textures for the bird to explore and destroy. Your parrot should have a minimum of ten toys in his cage at all time. You should not be able to see the parrot easily when he is in his cage. This is his home and he should feel camouflaged as he would if he was in the wild. Place one of the working toys in front of the U shape perch, with the other working toy towards the front of the opposite corner. Place one of the other toys directly on the side of the U perch so that perch is surrounded by hanging toys. 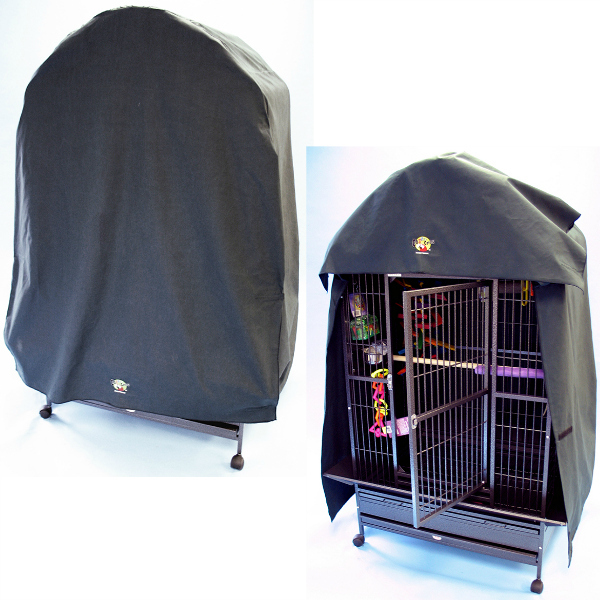 This allows your parrot a hiding place to feel secure. 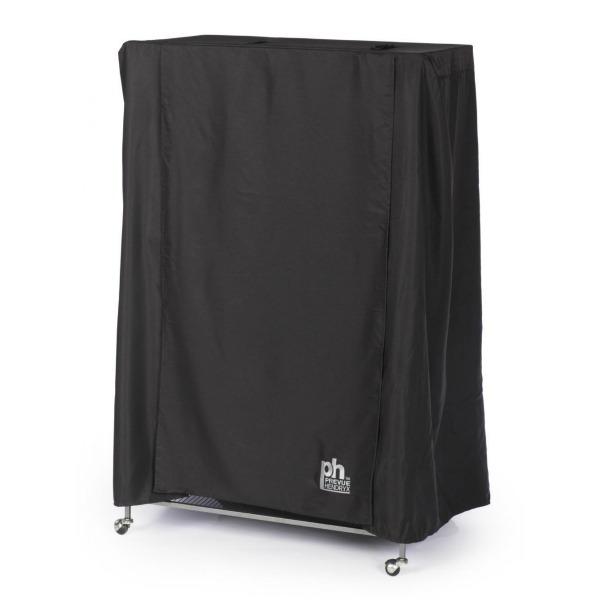 Now take paper towels, shredders, newspaper, leather, or brown paper bags and fold them up and weave into the cage bars making a little square section on the side and to the back of the U perch. Again this gives a sense of security to the parrot. Plus if you have a feather picker it gives them another option to chew instead of their feathers. We have to remember that we took these birds from the wild and it is up to us to learn to understand their needs. Set their cage up in a way that is fun for them and keep it interesting. Busy beaks are happy beaks!